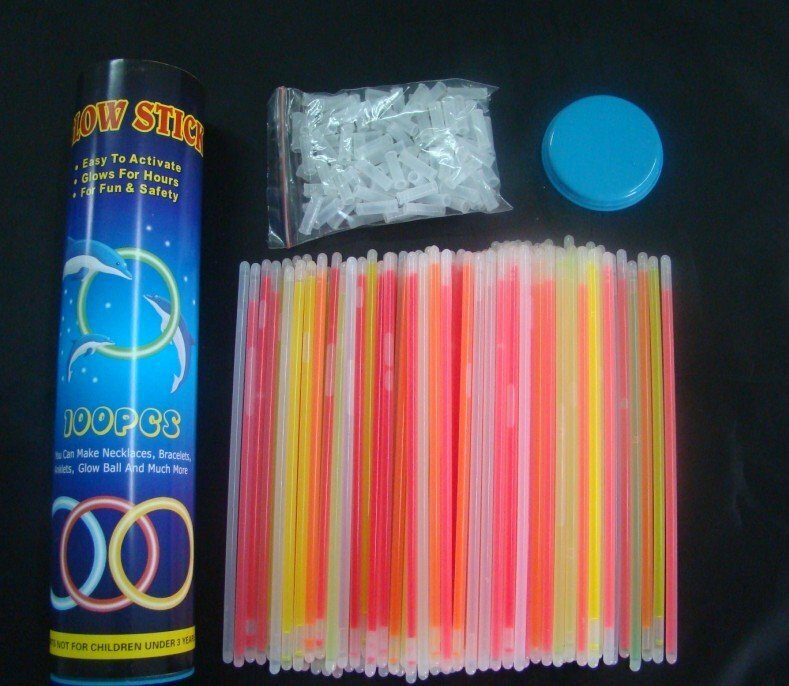 Principle: Inside the glows tick bracelets are two chemicals that emit light or glow when they are mixed together. How to use: Inside the glows tick bracelets is a thin glass tube, when you bend it for the first time, you break the inner glass tube. This mixes the two chemicals together. Just shake it up and presto, it starts glowing like magic.